New version of Calendar template is here. Display any data in calendar format and more. 1. 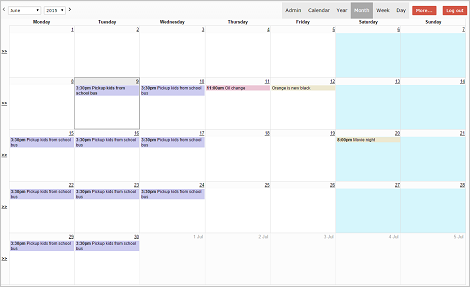 Calendar template v2 is avaialble for PHPRunner 8.0, ASPRunnerPro 9.0 and ASPRunner.NET 8.0 users. 3. Display data from any table in calendar format. 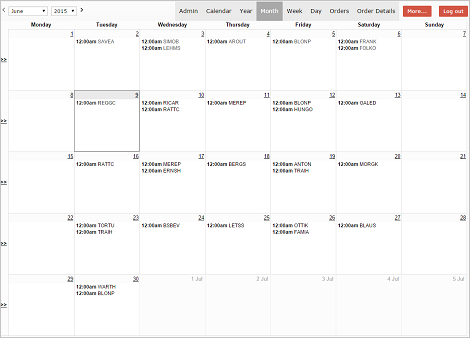 In this example we display orders from Northwind database in calendar format. Feel free to check setup instructions. You only need to add 4 lines of code to AfterAppInit event to make this happen. Note that drag-n-drop works in this demo as well, just make sure you are logged in. Template Pack owners can upgrade to Calendar v2 for $25. All others can purchase Calendar v2 for $50.